Prolong the life of your most prized possessions with this cost effective fabric cleaning and protection kit. 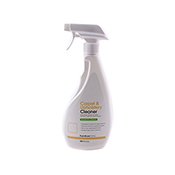 Easy to apply, spray on protector, forming an invisible 100% water-proof and stain repellent barrier without compromising the item's look and feel. All in one cleaner & stain remover for carpets, upholstery & clothing. 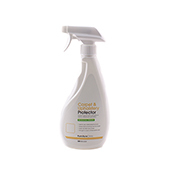 A unique protection spray used to repel stains from carpets and upholstery. Like scotchgard, this product retains all spills on the surface preventing staining.